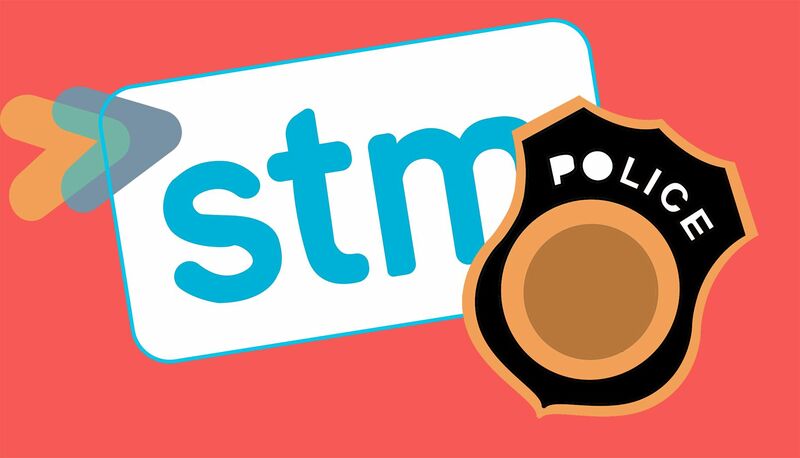 You’ve all probably heard the running joke about STM inspectors being failed police officers. It’s hard not to believe this when we see some of them strolling around metro stations, holding their batons and glaring at innocent travellers intimidatingly. Even though this joke implies that STM inspectors hold powers similar to SPVM officers, it’s important to note they don’t. And we at The Concordian think they shouldn’t be given more power than they already have. On April 3, the STM board of directors passed a resolution saying it wants STM inspectors to be special constables, according to CBC. This means they’d need more than their current 14-week training. They’d also be allowed to access data that is kept for police officers, and they would become accountable to the Bureau of Independent Investigations. As of now, STM inspectors have the power to ask for identification, issue fines for not paying the metro fare and restrain those who break the law until police officers arrive, according to the same source. But, funnily enough, one of the powers they don’t have is the power to use brutal violence to subdue someone who’s allegedly broken the law. We’d think otherwise, though, by looking at some STM inspectors’ history of unnecessary violence against alleged law-breakers. Just last month, a video circulated in which two STM inspectors aggressively attempted to detain a black man, 21-year-old Juliano Gray, who didn’t pay his metro fare. The video shows the inspectors on top of Gray at the Villa-Maria station. They swing their metal batons several times while Gray screams, “That hurts!” and “I stop!” in French. At one point, Gray’s head is near the oncoming train, and the officers still don’t let him get up. Gray eventually ran away from the inspectors and is now seeking justice with Montreal’s Center for Research-Action on Race Relations (CRARR). Because of the violent incident, Gray said he sustained injuries that stopped him from continuing his job as a part-time dishwasher, and that he is suffering from post-traumatic stress, according to the same source. CRARR is calling for an independent external inquiry into the situation, and for officials to possibly press charges against the inspectors. We at The Concordian are shocked and disturbed by the STM inspectors’ use of violence to detain Gray. Just because someone doesn’t pay a $3.25 metro fare, doesn’t mean they deserve to be brutally beaten. It was unnecessary, excessive and damaging. We believe the inspectors must be held accountable for their actions. There is already a history of abuse of power when it comes to STM inspectors—this video just proves how dangerous it could be to grant STM inspectors more police-like powers. The STM Chairman of the Board of Directors Philippe Schnobb has said the goal of giving inspectors more power is to provide a “better customer experience” according to CBC. While the board doesn’t want to arm the inspectors, giving them more power would let them intervene when people complain about bothersome passengers. We at The Concordian don’t think STM inspectors need to be given more power to provide a “better customer experience”—the metro is not a shopping mall, nor are we there for the sake of the experience. We just want to know that we are safe, and that our metro rides won’t be hindered by unnecessarily dangerous situations. If one takes a look at other cases where STM inspectors have abused their authority, it’s hard to support the idea of giving them more power. Instead, perhaps their 14-week training should be extended, and the idea of de-escalating dangerous situations should be promoted. We at The Concordian support the idea of STM inspectors using their voices before violence when it comes to dealing with problems.